Kuala Lumpur is without a doubt a vibrant and energetic city all the time. 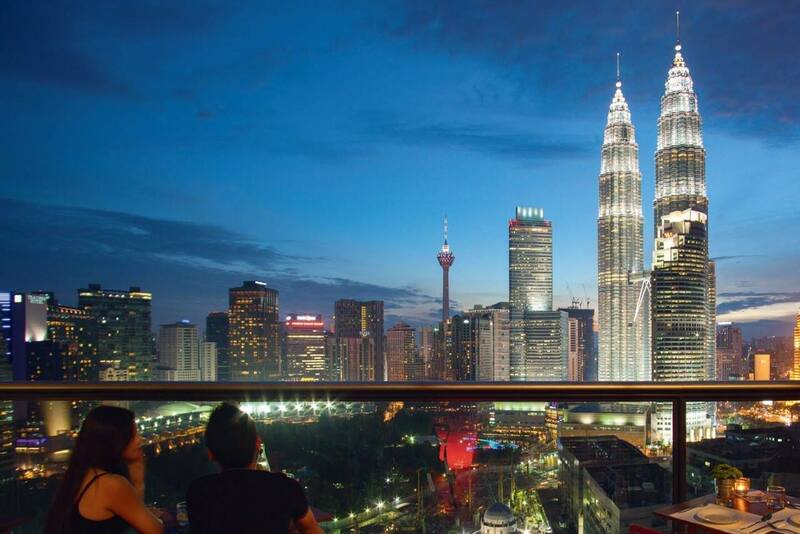 We at RedTix ask you to view Kuala Lumpur from a different angle to really appreciate this Malaysian capital - the rooftops. Here’s a list of rooftop bars with unparalleled views of the city! 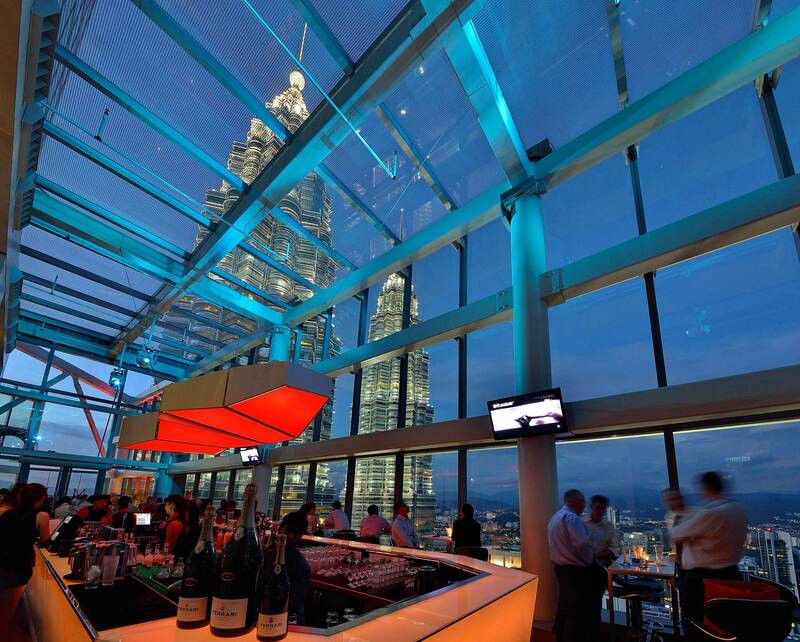 Vertigo boasts the title of the highest ‘Hotel’ rooftop bar in Kuala Lumpur, situated on the 59th floor of the 5-star Banyan Tree Hotel and offers uninterrupted views of the city skyline. 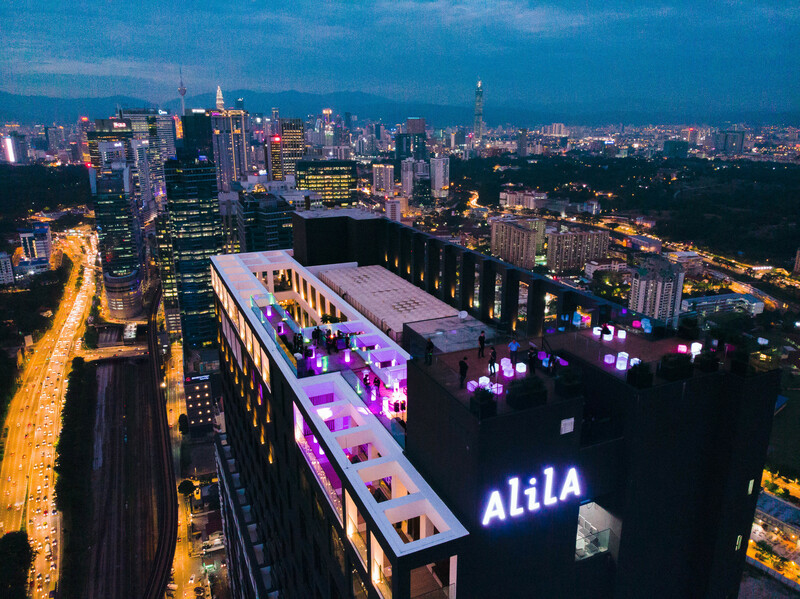 A newbie to the Kuala Lumpur rooftop bar scene but one that’s making a name for themselves with their personalised drinks, DJ weekends and delicious Asian style tapas. ‍Recommendation: Gula Melaka - Kraken Spiced Rum, Frangelico, Monin Coco and Fresh Lime. 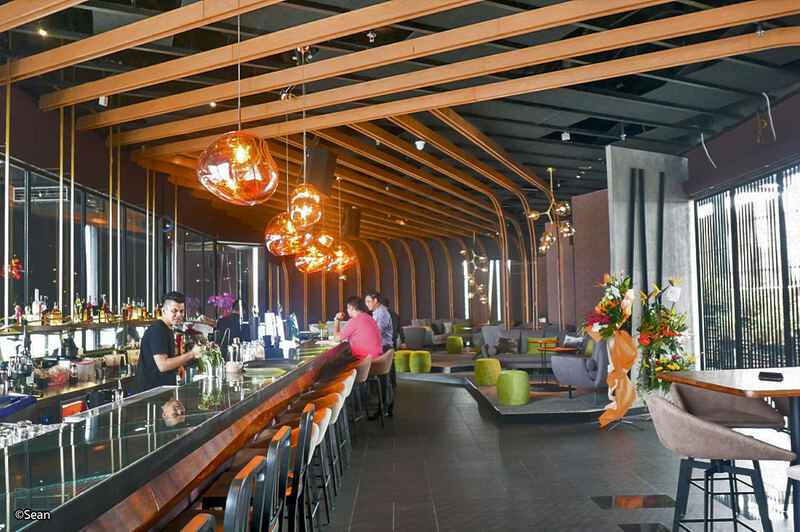 Mantra Bar sits atop of Bangsar Village II, one of the only bars in Bangsar that offers exclusive views of the neighbourhood, this is most certainly an upscale location considering the clientele are more often than not KL’s socialites. However, as sleek and fancy as it may be there is a great selection of cocktails that have been reimagined with Asian twists and flavours. After a certain hour, you can expect Mantra to almost turn into a low-key night club of sorts. Recommendation: Old Fashioned - Maker’s Mark, Demerara Sugar and Angostura Bitters with an Orange Twist. The first of two helipad bars on this list. They’re apparently very popular in KL. The difference between the two is simply the views each has to offer. 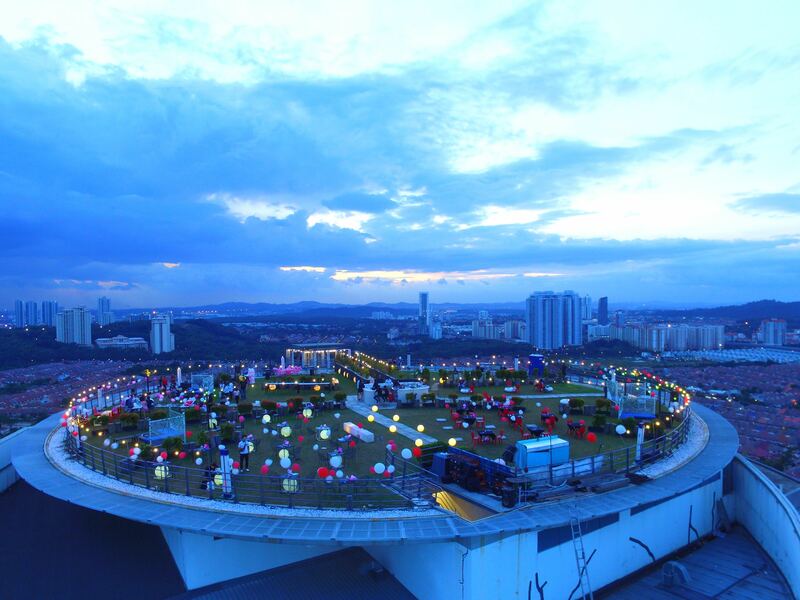 At Stratosphere you can expect to have unrestricted panoramic views of Petaling Jaya, with its beautiful landscapes. This grassed helipad is perfect for a summers night. You can also expect some of the region’s hottest DJ’s spinning tracks. Possibly the best view you could ask for in the city. So spectacular that drinking or eating here is more often than not an afterthought. 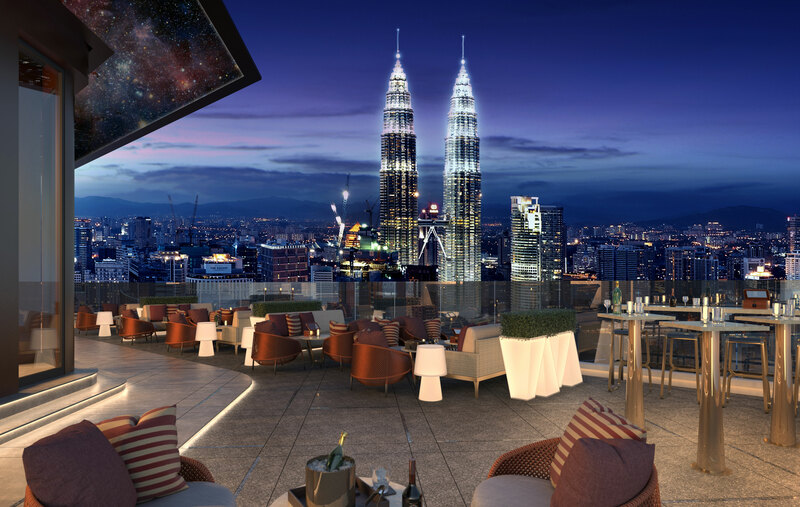 This is the ultimate destination for swanky tourists and KL’s urban crowd with its views of Petronas Towers, Italian restaurant and cigar lounge. In just 60 seconds, you will be shot up to the 57th floor in the express elevator at which point you’ll be in awe of the never-ending views of the skyline. Note to remember: They have a strictly smart dress code policy. Recommendation: The Sailor Shrub - Sailor Jerry Spiced Rum, Pineapple Cinnamon Shrub, Raspberry Syrup and Fresh Lime Juice. Uninterrupted views from a real and very much active helipad. An unusual yet well-thought-out concept. Up until 6pm the space functions as a helicopter pad but after it becomes a bar with no walls, windows or boundaries to restrict that 360-degree view of the city! Pop over just before the sunset to capture the sunset glow whilst sipping on your favourite beverage. Take advantage of the happy-hour drink deals with drinks starting at 15RM each. Insane! The Lido is an amalgamation of leisure, luxury and fun that's been soaked in just the right amount of classy atmosphere and is a bar that can also offer you those unobstructed panoramic views of the city. A remarkable place to eat, drink and socialise. Recommendation: The Jungle Bird - Dark Rum, Campari, Fresh Pineapple, Calamansi Juice, House-made Cinnamon Cordial and Firewater. Most probably the only one on this list that isn’t a rooftop bar per se, but we just couldn’t live with ourselves if we didn’t include this gem. 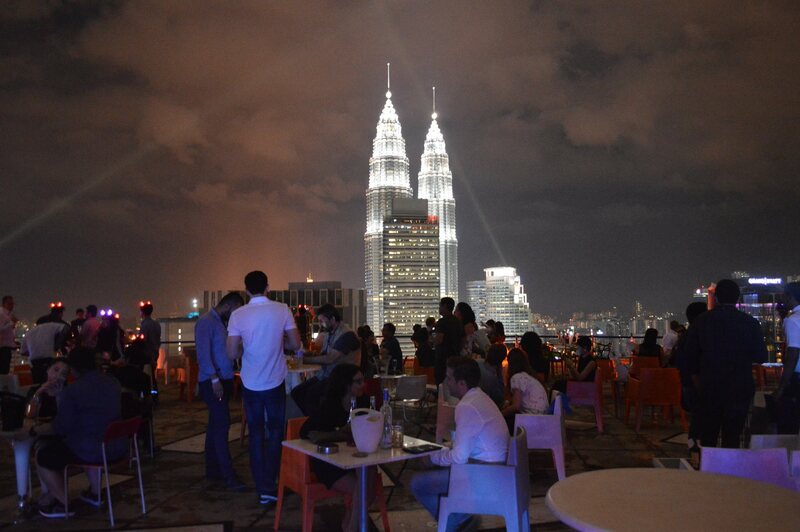 An open-air restaurant with the bar perched on the 24th floor with a direct view of the Petronas Twin Towers. The cocktails are both complex and creative. The food features South American inspired dishes that are perfect for sharing. One of KL’s best spots for a date night.